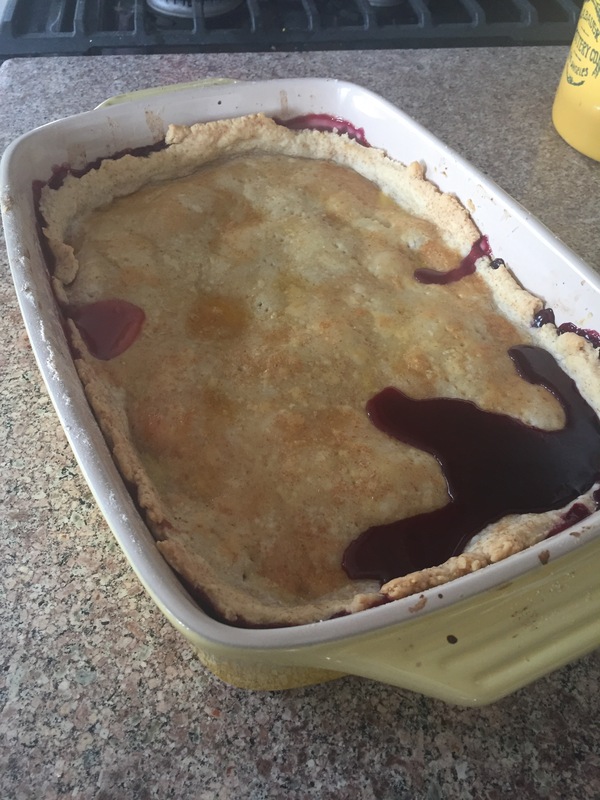 I started with the peaches and added some blackberries and some blueberries. Ultimately, you want enough fruit to fill whatever dish you’re using. I used a 9×13 casserole dish. Then I added a cup and a half of sugar and a couple tablespoons of corn starch to thicken things up a bit. 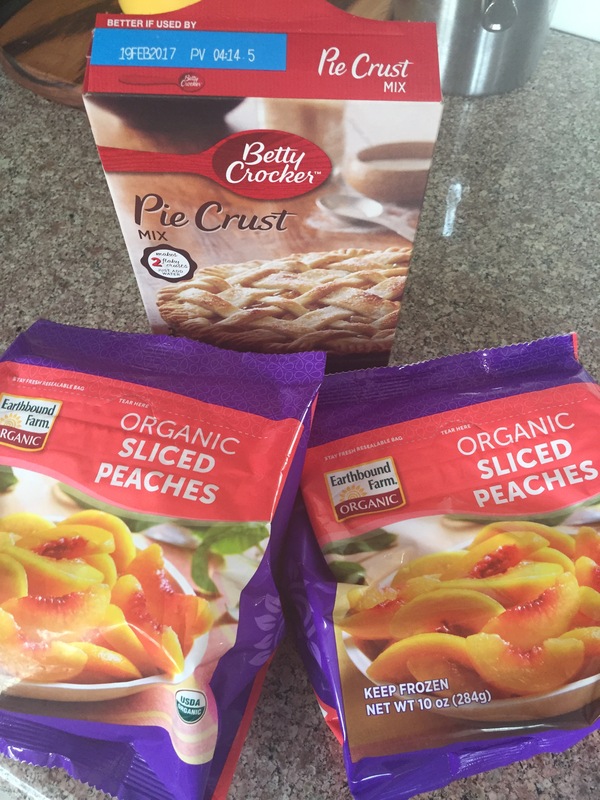 The pie crust mix is about as easy as it can get. Just add a little cold water until it comes together. Roll it out to about 1/4 inch thickness. Lay it over your fruit and poke it with a fork. You can brush with egg wash or milk and sugar, whatever you like. I went for the egg wash and sprinkled a little brown sugar. Mmmm. Now time to go in the oven. I did 425 degrees for 20 minutes, then down to 375 degrees for 30. After that I just kept an eye on it. Took it out when the crust looked nice and golden. All together, it took about an hour. I love it when the juice comes through the crust. Let it cool a bit and serve alone or with ice cream. Delish! Enjoy. Previous postASMR you hearing this?? Next postFinally. . .makeup success!!! Ice cream!! That’s what you call Yum 👅 City!